Anyone who comes to the Atlantis Centre for listening therapy of several days’ duration will quickly come to appreciate the cafeteria next to the hotel. Whether in the morning for breakfast – included in the price for hotel guests – at midday upon prior reservation or "à la carte" for lunch, and in the evening for a quick bite to eat, in the cafeteria guests are welcome. The cafeteria is open between 7 o’clock in the morning and 8 o’clock in the evening; only on Saturdays does it close at 5 o’clock. 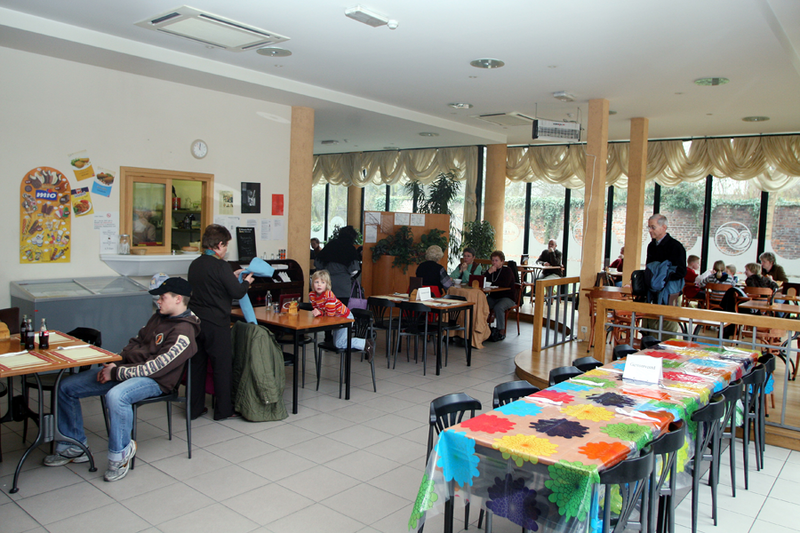 The cafeteria offers a wide variety of food, which is mostly prepared by the staff themselves. Here guests can try a "Pannekoeken" (pancake) or a white coffee while waiting for their children. And everything is at affordable prices.